In Gran Turismo 6, players can pick between models for the console. 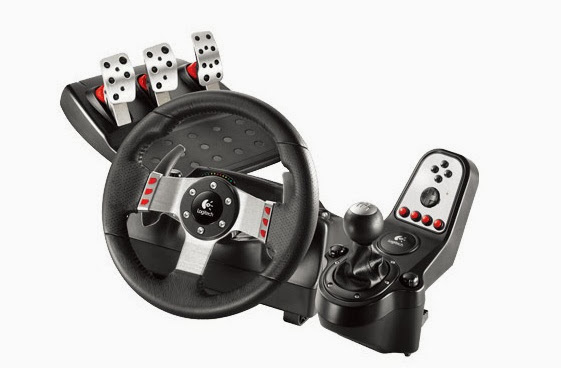 The most popular among them is offering Force Feedback technology, the Logitech G27. It was developed for use in PCs. That explains why the games that support Logitech joystick usually have several shortcomings for device configuration. Learn how to configure the joystick in the tutorial below. Step1. First, connect your PC with the G27 driver. Choose any USB port. No need to turn the steering wheel in the making. Step2. Open the Logitech Profiler. All configuration possibilities are intended for use on the PC. Ignore the settings button and go to the Options menu. Choose "Global Device Settings". Step3. In the picture, you can see the settings I define as the most comfortable for my driving style in Gran Turismo 6. Not to say that they are perfect or ideal. You can change these settings until you find your sweet spot. Usually, the trend is that let's return to power at a higher intensity. As the change of some of these settings is through unhappy, just so you have a better idea what it is, let's find out what are some of them. The first three settings are related to the behavior of the Force Feedback. The higher the number, the harder the wheel is and you have to play. The field for the "Settings Flywheel" is very important: it defines how many degrees the G27 need to run to go from lock to lock in the game. By default, the G27 has 900 ° from end to end. Although the GT6 support all this is a bit much bothering turning the steering wheel in tight turns (especially driving karts, Formula Gran Turismo and any of the Red Bull cars series). If you feel this difficulty, can reduce the degrees of rotation to the point where you’re comfortable. The 40 °, as in the above example, to go from lock to lock the car that you drive, you need to give approximately 60 or 75 ° rotating wheel. Step4. Make sure you leave disabled the option "Allow the game settings set". Step5. Click OK. Now your settings are stored in the internal memory of the wheel. 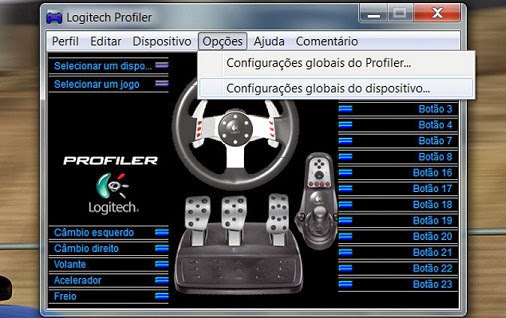 To test them, simply connect the Logitech G27 on PS3 and test. Few people know, here is a method to use the wheel properly on the console. It is almost a ritual born of the fact that the G27 does not support a well resolved on PS3. These tips apply to any game (except GT5). Step1. Connect the USB plug of the steering wheel 1 port on the PS3 (which is on the left). Step2. Plug the wheel into the socket. Step3. Now you should only connect the PS3. It is essential that you turn the knob on the console. Step4. Some demanding users prefer to calibrate the pedals in the game. It is not necessary. However, if you want to do this, simply rotate the GT6, access an any race and, before release, squeeze the accelerator and brake pedals until the end. Get out of the race, and now your pedals are better calibrated. However, this procedure is unnecessary.